Plastic Logic is a thin film transistor (OTFT) technology. The headquarters of Plastic Logic is in Cambridge, United Kingdom. Plastic Logic opened the first mini-fabrication plant on November 11, 2003 in Cambridge, UK. 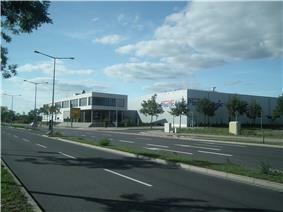 A factory for the mass-production of the display units was opened on September 17, 2008 in Dresden, Germany. Plastic Logic announced its first plastic screen device on November 30, 2004, to be used by Siemens Communications in their mobile devices. This was followed by the announcement of an ereader called the QUE proReader. However by August 2010, they had cancelled the QUE proReader. In September 2011 the company announced Plastic Logic 100 aimed to bring e-textbooks to Russian schools. In January 2011 the company received $280m in venture capital: $230m into the equity of Plastic Logic from Rusnano and $50m from Oak Investment Partners, a multi-stage venture capital firm. In May 2012 Plastic Logic revealed a ‘Plastic Inside’ strategy – selling its plastic back-planes, sensors and tags for customers to incorporate into other products. On May 17, 2012, Plastic Logic announced that they were abandoning plans to manufacture their own e-reader devices (focusing instead on licensing their existing technology), shutting down their US office in Mountain View, California, and reducing staff elsewhere. In July 2012, Plastic Logic demonstrated a flexible display that was 130  Plastic Logic also demonstrated several product concepts including an ultra-thin e-paper companion device for a smartphone. The 10.7” touchscreen pane for viewing of webpages and documents was designed for easier reading of content than on the screen of a smartphone. BBC Click featured Plastic Logic's technology in a report on "going paperless" in July 2012. In January 2013 the company won the FlexTech Alliance's "FLEXI 2013 R&D Award" for innovation in flexible display manufacturing. This was in recognition for the development of a scalable manufacturing process for integrating a colour filter array on a flexible plastic display. Other companies recognised by the FlexTech Alliance included Corning, Inc. and American Semiconductor. Following the company's strategy change, Plastic Logic now develops and manufactures flexible plastic displays for third party end-devices. Because they are made of plastic, they are resistant to breaking are designed for use in robust mobile devices. In March 2013, the readers of the German electronic products magazine Elektronik voted Plastic Logic's flexible colour display "Optoelectronic Product of the Year 2013". At the International CES in Las Vegas at the beginning of January 2013, the company announced the tablet computer product PaperTab, the result of a collaboration between Intel, Plastic Logic and the Human Media Lab of Queen's University (Ontario, Canada). Powered by an Intel Core i5 Processor, the PaperTab incorporates a flexible 10.7” plastic display developed and manufactured by Plastic Logic. The interface is gesture-controlled, allowing the user to change a view or action a command by bending a screen corner or tapping one screen on another. Multiple PaperTabs can be used to display data side-by-side as a virtual desktop, displaying media such as emails and larger images simultaneously. Plastic Logic also supplies larger displays, which can be used as e-paper or a companion device for a smartphone. Further uses include enabling a large form-factor, flexible and lightweight eReader. In March 2013 Toppan Printing Co., Ltd and Plastic Logic demonstrated the first large-area, flexible electrophoretic digital signage prototype at RETAILTECH in Tokyo, Japan. The 42" prototype consisted of 16 10.7" Plastic Logic monochrome flexible plastic displays, tiled together, in a 4x4 configuration for use in applications with close viewing distances. The power consumption of the displays was also demonstrated for disaster-ready applications in areas prone to natural disasters, such as the post-earthquake society of Japan. Plastic Logic has also shown concept designs enabled by its smaller displays, such as wearable computers for use in sports, health and medical applications. 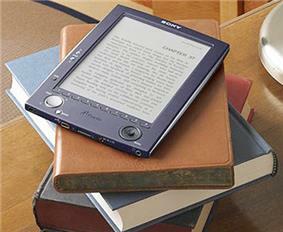 The QUE proReader was a first generation e-reader product from Plastic Logic. The final version of the product was presented during a public event at CES January 2010. The product was cancelled on August 2010 without ever shipping, with the firm noting that "We recognize the market has dramatically changed, and with the product delays we have experienced, it no longer make sense for us to move forward with our first generation electronic reading product." Plastic Logic 100 was an "electronic textbook" which was intended for educational use. Its availability was announced by Plastic Logic on September 12, 2011. Beginning later that month, a shipment of devices was scheduled to be used on a trial basis in selected schools in Russia which were planning to be pioneering the electronic textbook program. The Plastic Logic 100 used plastic-based e-paper technology. The device employed a 10.7" glare-free, shatterproof, and anti-fingerprint display, as well as a touch-based UI. The storage limit was 4 GB and the device was running Windows CE on an 800 MHz processor. The battery was intended to last a week under regular use, which includes reading, underlining, and annotation of text. Due to the company's strategy change, announced in May 2012, the device was discontinued. ^ "Plastic Logic chief receives knighthood". 16 June 2003. ^ "Chip innovator sets its sights high". 18 April 2008. ^ "All-Plastic Electronics Power Flexible Color Display". 7 June 2012. ^ "Plastic Logic Shows Off New 10.7 Colour Display Screen". 4 September 2012. ^ "Plastic Logic opens the world’s first Plastic Electronics Mini-Fab". Plastic Logic. Archived from the original on 15 December 2003. Retrieved 17 August 2010. ^ "Plastic Logic Opens Plastic Electronics Manufacturing Factory in Germany". 17 September 2008. ^ "Plastic Logic to develop flexible displays for Siemens Communications". 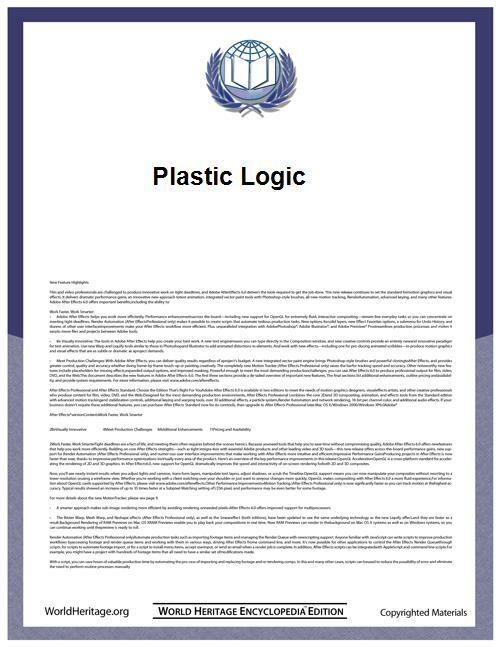 Plastic Logic (Press Release). Archived from the original on 7 February 2005. Retrieved 17 August 2010. ^ a b Walters, Richard (08-11-2010). "Plastic Logic abandons long-delayed e-reader". FT.com. Retrieved 17 August 2010. ^ "RUSNANO Finalizes Investment in Plastic Logic". Press-release. 18 January 2011. ^ "Plastic Logic goes for 'Plastic Inside' strategy". 16 May 2012. ^ Fingas, John (May 17, 2012). "Plastic Logic shutters US offices, gets out of making its own e-readers". ^ "Plastic Logic Exits E-Reader Business It Never Really Managed to Enter". All Things D. May 17, 2012. Retrieved September 7, 2012. ^ "Plastic Logic quits ereaders and turns to tech licensing". Slashgear. May 16, 2012. Retrieved September 7, 2012. ^ "A logical step". +Plastic Electronics. August 24, 2012. ^ "Plastic Logic offer in-depth look at plastic electronics technology". Printed Electronics World. 2 July 2012. ^ "Plastic Logic flexible smartphone companion hands on". Slashgear. 28 June 2012. ^ "Plastic Logic reveals smartphone display accessory concept at open day". Plus Plastic Electronics. 28 June 2012. ^ "Showing the future for a paperless office". 12 July 2012. ^ "BBC Click (BBC iPlayer TV programme - available to play in the UK only)". 8 July 2012. 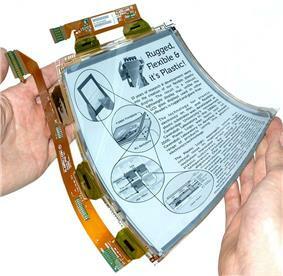 ^ "Plastic Logic CEO: E-readers are start of flexible displays revolution, not the end". 21 May 2012. ^ "Plastic Logic also pursuing 'non-imaging' applications". 18 June 2012. ^ "ISORG and Plastic Logic to unveil plastic image sensor at LOPE-C". 11 June 2013. ^ "FlexTech Alliance Announces 2013 FLEXI Award Winners, Recognizing Accomplishments in Flexible and Printed Electronics". 31 January 2013. ^ "Plastic Logic’s New Color Screen Looks Better in Person". 5 June 2012. ^ Accident prone' Brits most likely to break smartphones"'". 24 July 2012. ^ "Die Produkte des Jahres 2013 - das sind die Gewinner". 19 March 2013. ^ "Plastic Logic wins award for innovative colour flexible displays". 15 March 2013. ^ "Flexible E Ink Tablets Will Probably Be Neat Someday, But Not Right Now". 8 January 2013. ^ "Revolutionary paper tablet computer reveals future tablets to be thin and flexible as sheets of paper". 7 January 2013. ^ "PaperTab: The paper-thin flexible tablet prototype that wants to replace paper (video)". 7 January 2013. ^ "Thin, Flexible PaperTab to Redefine the Tablet". 9 January 2013. ^ "Plastic Logic Proposes a Futuristic Kind of Paper". 9 January 2013. ^ "British company reveals ‘bendable’ tablet". 8 January 2013. ^ "Tablet enthralls CES 2013 by treading thin line between computers and paper". 7 January 2013. ^ "CES 2013: Hottest gadgets at the show". 10 January 2013. ^ "Plastic Logic flexible smartphone epaper companion hands-on". 28 June 2012. ^ "Discovery Channel". 9 January 2013. ^ "TOPPAN and Plastic Logic to develop market for large-area, flexible EPD signage and showcase world’s first 42" prototype in Japan". 4 March 2013. ^ "Plastic Logic unveils 42-inch flexible plastic signage prototype". 5 March 2013. ^ "Plastic Logic role in post-earthquake Japan". 4 March 2013. ^ "Plastic Logic shows off colour e-paper display smart watch concept: the future of wearable tech?". 26 March 2013. ^ "Flexible display smartwatch in production via major sportswear manufacturer". 26 March 2013. ^ Fried, Ina (7 January 2010). "Plastic Logic unveils its pricey Que e-reader". Cnet. Retrieved 24 May 2012. ^ Murph, Darren (08-10-2010). "Plastic Logic kills QUE, 'shifts focus' to second-generation ProReader". Engadget. Retrieved 10 August 2010. ^ "Plastic Logic reveals new business strategy". Plus Plastic Electronics. 16 May 2012.